The new iPhone XS is now available and will feature super retina display custom OLED display with a 5.8 inch screen, 2426 x 1125 resolution and 458 pixels per inch. The OLED panels in the new iPhone XS will enable HDR display with now the high accuracy in color, brightness, contrast and sharpness. Also the iPhone XS will feature HDR10 and wider stereo sound and support for Dolby Vision. Not to mention a 60% great dynamic for your HDR photos. Other features include 2 meters water resistance up to 30 minutes, intuitive touch functions and six channel light sensor to adjust white balance. The new iPhone XS is truly a remarkable phone. The iPhone XS will come carrier locked from most service providers, meaning if you choose to use another sim card from a different provider, you will be unable to use it. Whether you are traveling and want to save on roaming fees, or you want to change service providers for better service, if your iPhone XS is locked, then you will receive no signal bars. At Cellunlocker.net, we guarantee to factory unlock your iPhone XS or your money back. Unlocking your iPhone XS to use on other Networks has never been easier when you do it with Cellunlocker. We use the exact same methods your service provider or service centers use to factory unlock your iPhone XS. The process is fast and easy. 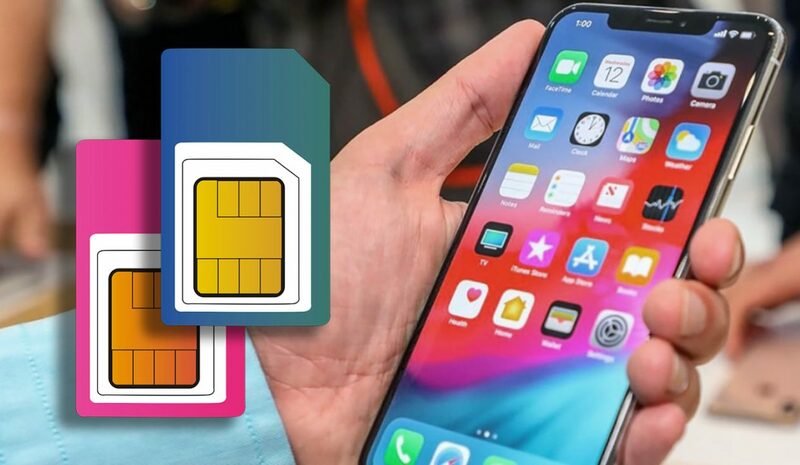 Is your iPhone XS not working with your new sim card from another carrier? Are you receiving this message on your iPhone “Sim Card Not Valid”? Need to change service providers using same phone? Traveling and want an unlocked phone? Cellunlocker.net can help you Unlock your iPhone XS 100% Guaranteed or your Money Back! The latest smartphones and gadgets can be expensive but they have a lot to offer with their cutting edge technology. But there are many devices that come with carrier based payment deals, the downside of which is carrier locks. When you cannot use a new sim card from another carrier on your iPhone, it means that your phone is still carrier locked. It needs to be factory unlocked in order for you to use with a different sim card from another service provider. At Cellunlocker.net we provide our customers with Permanent Unlocking solution with No Jailbreaking or Complicated Software. We have been providing 100% guaranteed Unlock iPhone XS services for multiple networks. Unlocking your iPhone XS to use on other Networks has never been easier when you do it with Cellunlocker. Our Apple iPhone XS unlock service is the best and also the most reliable and straightforward solution available on the internet. All you have to do is submit your IMEI number and the network of your iPhone. Once we have processed your order completely, all you need to do is insert your new sim card, and you will soon see signal bars appear from your new carrier. Please keep in mind this is to unlock the network of your iPhone XS, not the personal password or icloud. You do not to have your iPhone opened up or use a remote unlock code. We provide you the easiest and best unlocking solution available for the iPhone XS. With Cellunlocker you receive 100% Guaranteed Factory Unlock of your iPhone. Your iPhone will remain unlocked even after you get your firmware updated. If your Apple iPhone’s Network is listed below we can unlock almost your iPhone within minutes and make it available for use with other GSM networks. Cellunlocker.net has been unlocking iPhones for hundreds of customers on a daily basis. We can unlock devices that even your carrier cannot unlock easily, in addition to iPhone models that your carrier states cannot be unlocked. As long as your iPhone is listed in the network drop down section, we should have no issues unlocking it. If it is not listed, then please contact us first as we have various alternative solutions. We unlock your iPhone XS from any carrier restrictions, you’ll be free to use any sim. Keep in mind, Unlocking an iPhone is 100% Legal. It does NOT void your warranty, contract or effect the plan you currently have. Our automated system will email you the iPhone Unlock results it’s ready. Follow the unlock instructions emailed to you. Follow our how-to unlock walkthrough. Once Unlocked, your iPhone XS will be permanently Unlocked in the Apple Database. My Carrier is not Listed, Is there an Alternative? Ready to Unlock your iPhone XS? Please proceed to “Complete Your Unlock” and fill out all the information as accurately as possible to see if we are able to unlock your device.